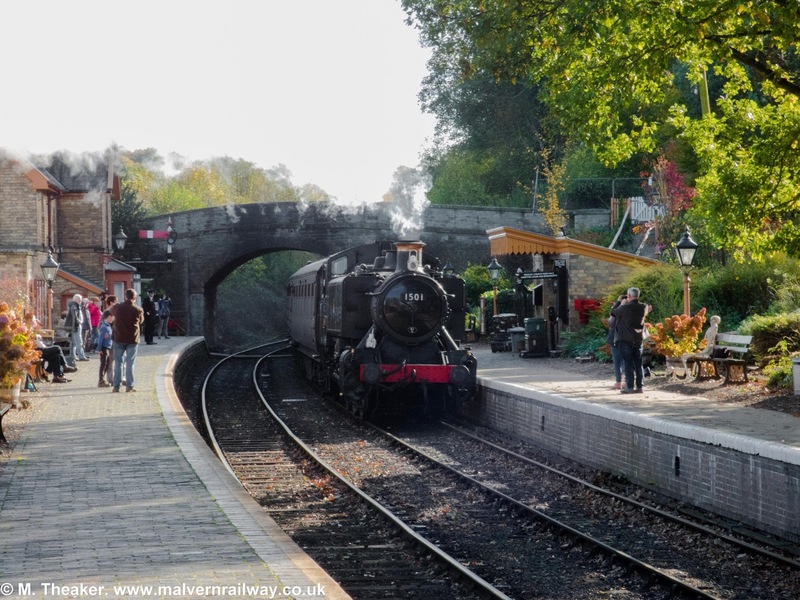 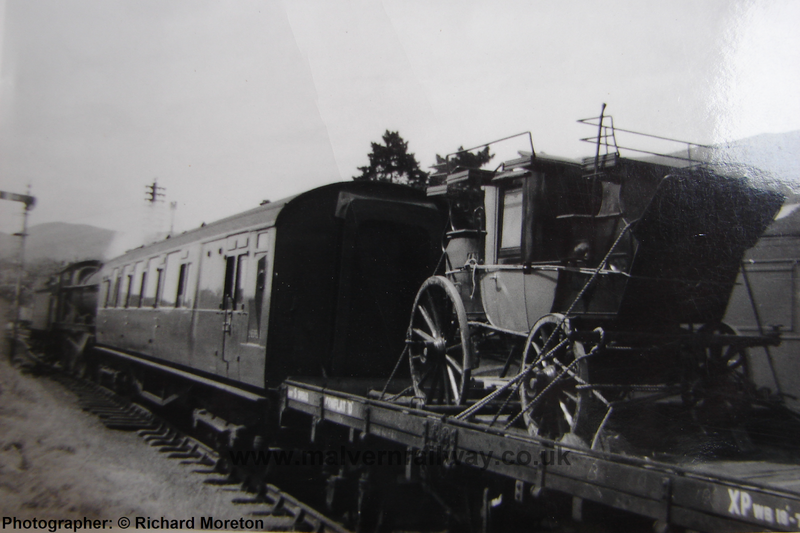 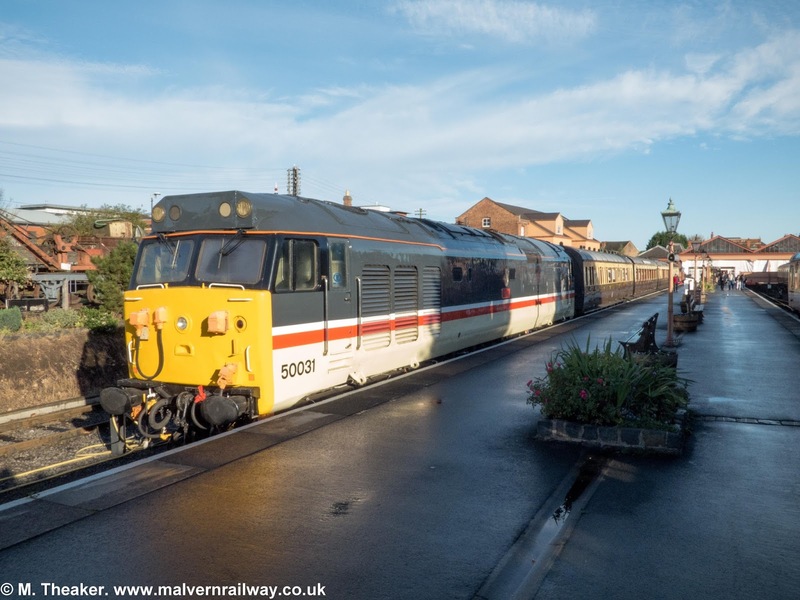 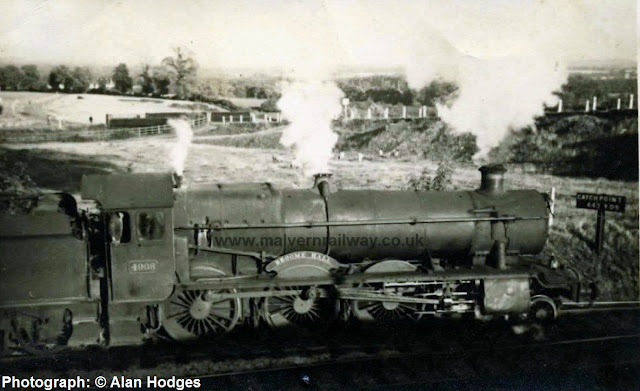 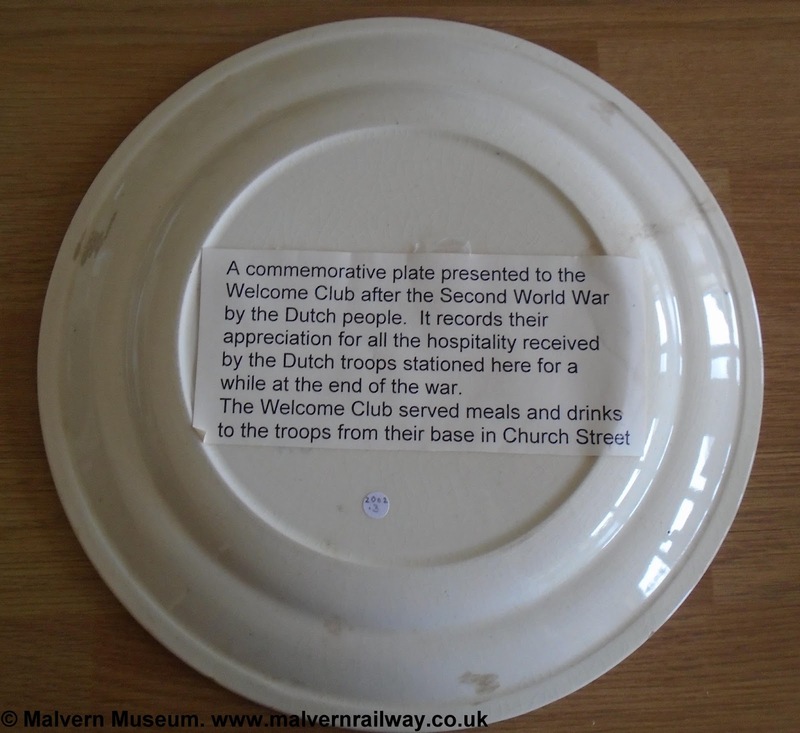 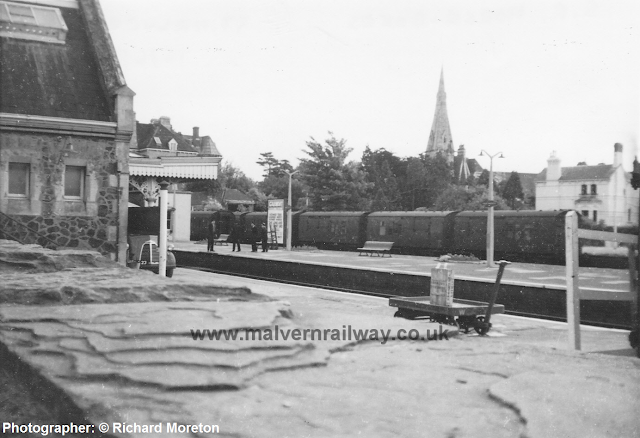 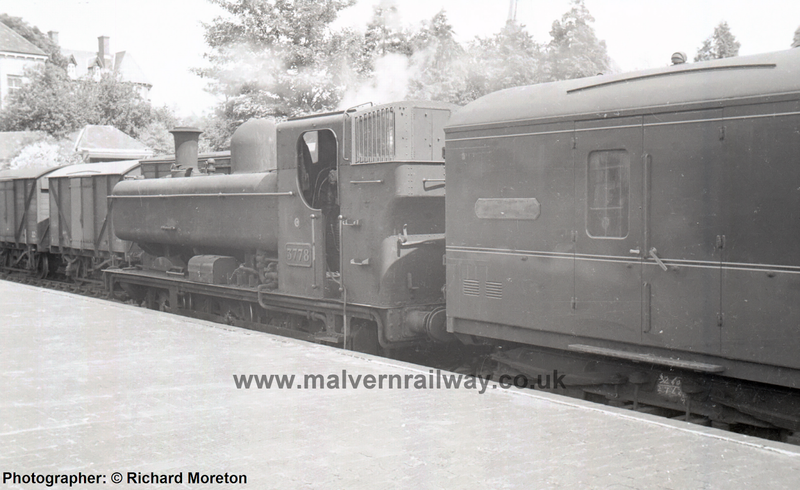 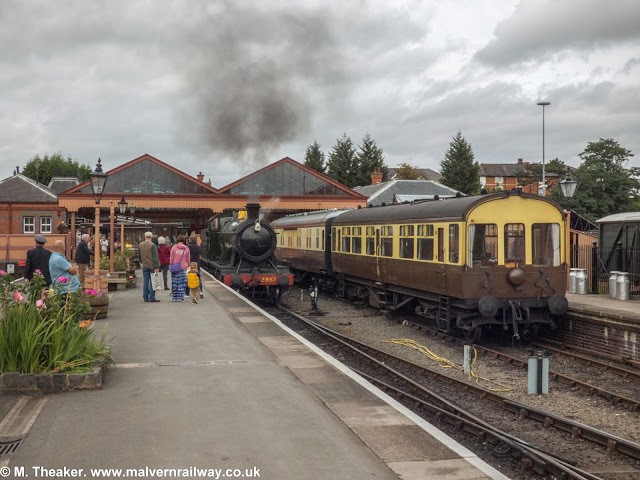 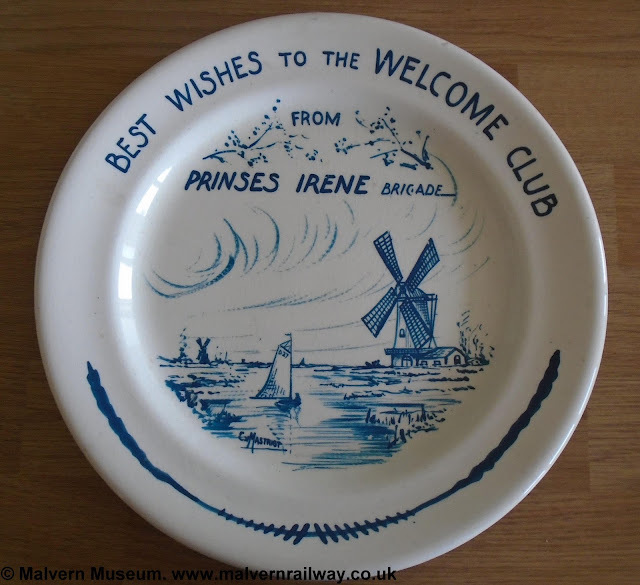 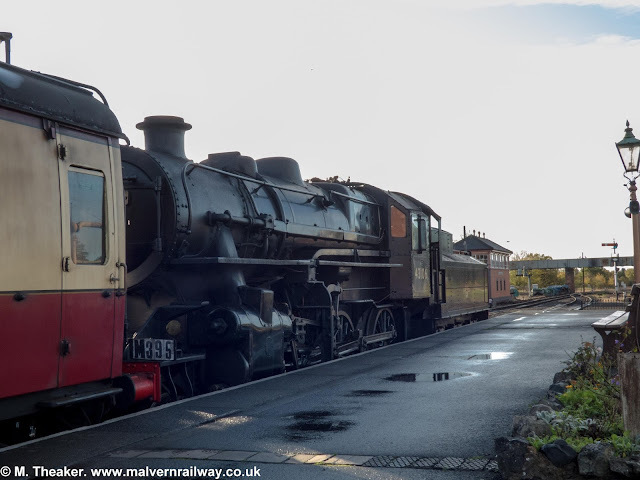 This update comes courtesy of Colin Allbright, who has uncovered some interesting research regarding the wartime use of the Malvern-Colwall railway tunnel. 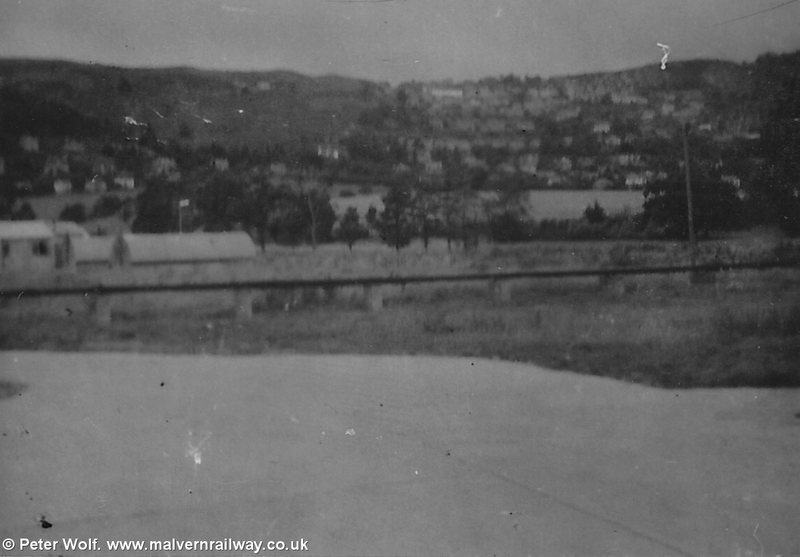 Two of the pictures previously uploaded to this site (shown again below) have already depicted the buildings used by the Admiralty at the eastern end of the tunnel, but Colin has helpfully annotated what these installations were actually for. Both ends of the old tunnel were in use by the Admiralty, with an armaments factory in Hereford and the main storage depot in Shropshire utilising it for overflow storage. Injured personnel were used to move munitions by hand from the standard gauge wagons to a narrow gauge railway that also ran around Colwall, with two locomotives being allocated to the tunnel work. 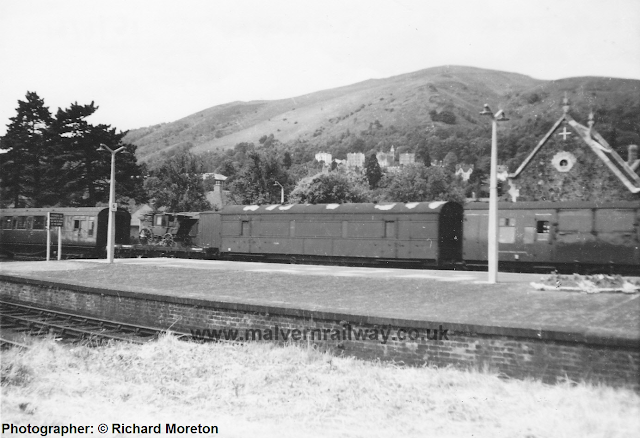 In the above pictures, we see a trackside and an overhead view of the Malvern end of the tunnel. 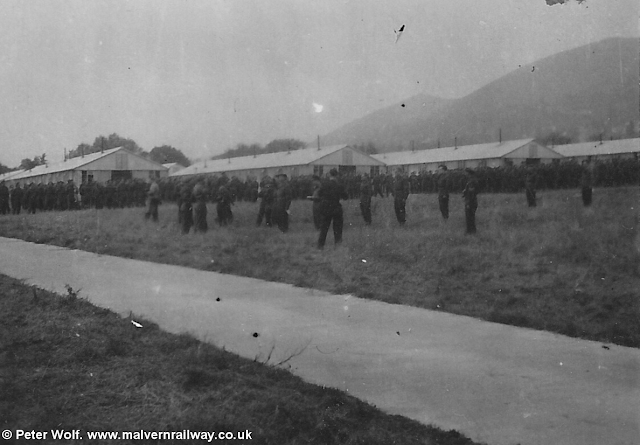 The blue line on the overhead photo shows the alignment of the old Admiralty siding which was removed after the war. The red line shows the alignment of the narrow gauge railway, leading up to the area where armaments were exchanged between the two systems. From the Colwall end, the two maps below show how the town's rail yard was developed by the Admiralty for wartime use. 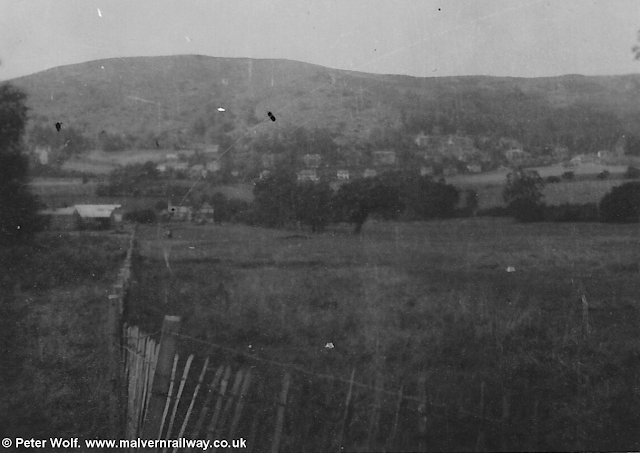 The above picture from 1903 shows the railway as it was pre-war, while the lower map from 1954 shows the remains of some interesting buildings. 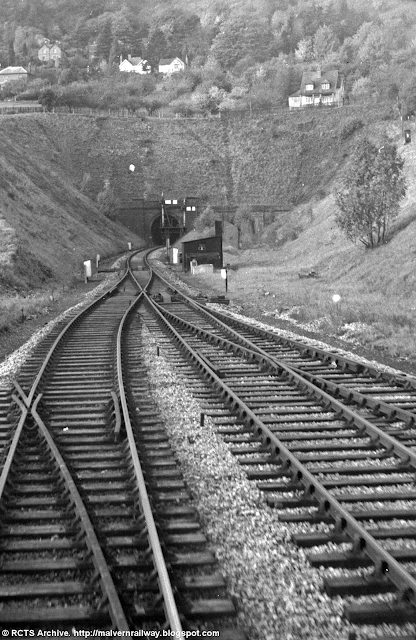 Just before the tunnel portal on the right side of the 1954 map, two grey buildings, one long and one shorter, are visible. 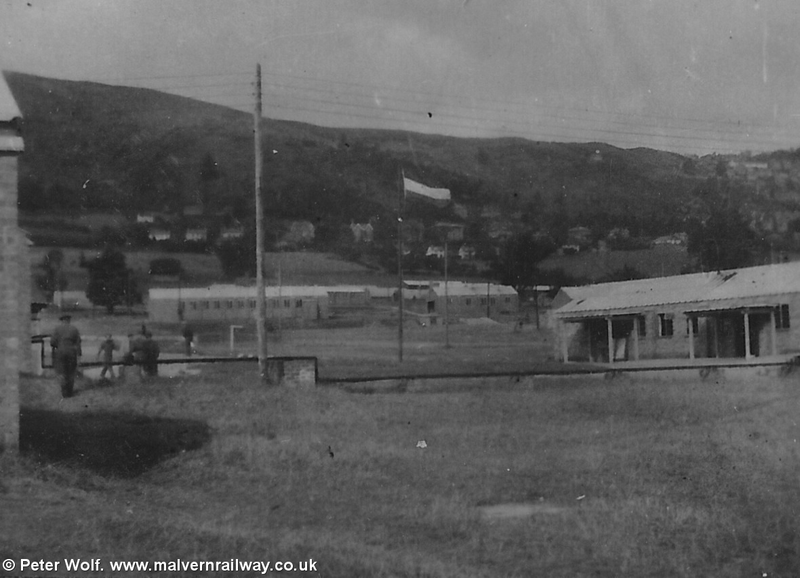 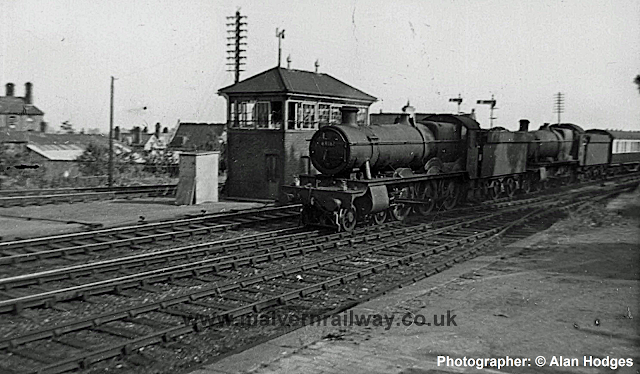 The long building was the Guard and Admiralty hut, while the smaller building to the right was a narrow-gauge engine shed. The line running north of these two buildings is an extended existing siding, while a second siding (not pictured), was built to run up to the Guard hut. 1903: Note the shortened siding north of the line running to the tunnel. 1954: Note the two buildings by the tunnel mouth, and the extended siding north of them. 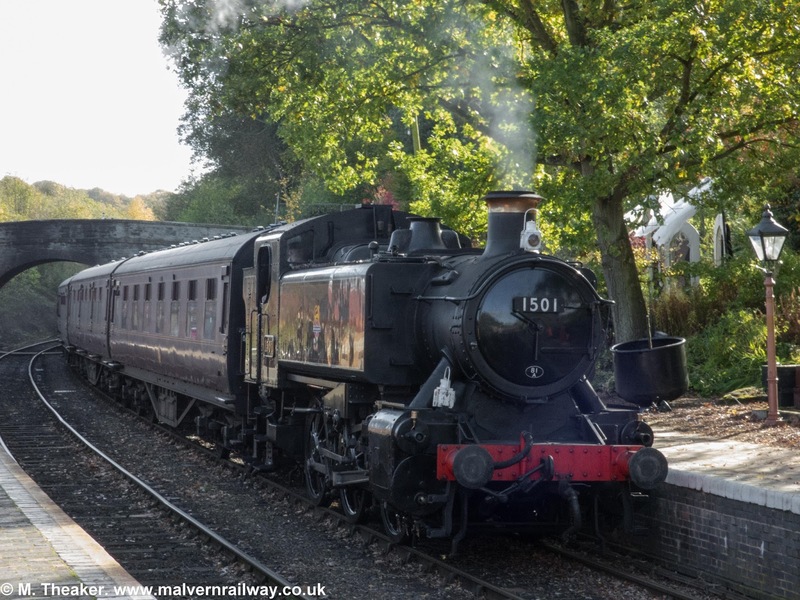 1501 steams into Arley from the south, 25/10/17, 2/2.